Below is a blog contribution from Bev and Alan, a couple who spent a year travelling around Asia and the rest of the world. In the planning stage, they struggled to find travel insurance that covered Alan’s medical conditions, and for the length of the trip. They used AllClear to provide the travel insurance that they needed. My husband, Alan, and I have been travelling for the past three months in India, Nepal, and South East Asia. Alan will reach his 68th birthday just before I reach my 50th in about two months’ time. We are doing a belated ‘gap year’, a decision reached rather quickly during the course of 2009 and planned without too much attention to detail, such as when we would arrive in or depart from certain countries. We did, however, read the usual guide books that travellers use to help prepare for such trips. These, and some of the web forums we visited, were very helpful in many ways, but they can also go out of date quite quickly, for example, we visited an island in Laos where we didn’t even try the electricity until after 6:00pm because one guide book said the area only had power between that hour and 11:00pm. Thanks to a very loud and long-running local disco in this remote paradise, we realised that this was not so and further enquiries revealed that, only three weeks prior, full-time electricity had been installed. The information sources can also overemphasise some of the threats to security. One of the things we bitterly regret spending money on as a result of what we read is a security system for rucksacks that cost over £100 for two. We used these items on our sacks on the way from Heathrow to New Delhi and since then these have festered like a couple of very heavy albatrosses in our rucksacks, too expensive to just throw away and too complicated to try to sell to a second-hand dealer whose first language is not English. This has prompted me to think about the items in our packing list that have proved useful and those that would have been better left out. Here are two very brief lists that I hope may be useful to others. Please bear in mind that we are just three months into our year of travel, therefore these may change as we go. 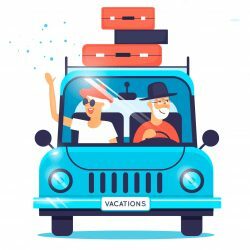 Also, the experience of a married couple travelling together will be quite different to that of a single young person travelling alone. Flip flops – these are so useful in a culture where footwear is mostly flicked off outside the door and where most bathrooms are ‘wetrooms’ and become very slippery after a shower. Also for going to a shared loo in the middle of the night! Quick-drying towels – available from most outdoor shops in the UK, these come into their own in some of the budget accommodation, or when trekking or swimming. Umbrella – we didn’t bring one with us, but bought one here in Cambodia. This is a useful sunshade for me when we go out in the heat of the day. More recently it has been used for its intended purpose! 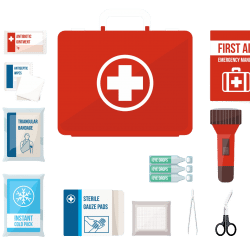 Medical kit – we may have gone over the top a little, but things such as diarrhoea medicine or sleeping medication (great for getting at least some sleep on overnight buses!) are useful to have as they are not readily available in all the countries we have visited. Thailand is the exception, where most of the common over-the-counter drugs can be found. An antiseptic spray has been much-used for scrapes and scratches. Although it is hard to prove whether this was useful or not, good authority would say it was. Sturdy trainers – someone we met once who was travelling said her hiking boots were her best friends. We stuck our necks out and did not listen to her advice, instead buying good quality trainers that are light and adaptable. 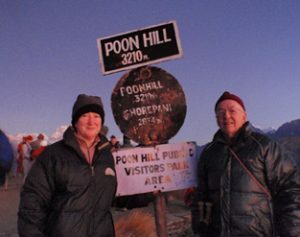 So far we have not been disappointed and we have completed some minor treks as well as a six-day trek in quite testing conditions in the Annapurna range. No blisters! Walking boots would have been so much heavier to carry and too hot to wear day to day. But a word of caution – we have been walking so far in the dry season. Head torches – useful for reading in bed as few lights are bright enough or well enough positioned. Also for visits to shared loos in the middle of the night! Netbook – Wi-fi internet access is becoming more and more widely available throughout South East Asia. My little Netbook has been vital for staying in touch, managing finances, booking ahead, and for getting my blog written up in advance so that online time can be spent more usefully. Rucksack security systems – these may be useful if you are travelling on your own and sleeping in dormitory accommodation and people travelling alone should maybe consider one of these systems. But if you are travelling as a pair and using private, double rooms, this is not really a major consideration. Also, when we are waiting at stations or whatever, there is always one person to keep an eye on the bags. Stockpile of toiletries – a large space in my rucksack was taken up by all sorts of toiletries and ‘ladies’ stuff’. There really was no need as these are widely available on the backpacker trail and come in handy small sizes that are easily replaced as you go. The one exception to this, in my experience, was emery boards. I could not find these in India, Nepal, or northern Thailand. In the end I had to get my sister-in-law to send me an emergency package! 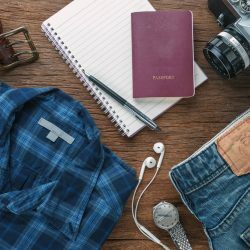 Clothes for all occasions – you can buy clothing so cheaply in South East Asia, it really is not worth overloading your bag with stuff before you leave home. This also brings much-needed revenue to these poorer regions and you end up with stuff that can’t be found in your average high street store. Mosquito nets – if you are heading for the wilds and going off the backpacker trail, you may need one of these. As we moved into the malarial areas, we have found that even the cheapest accommodation we stay in provides one of these. Ours have not left their original packaging.